I work with already successful and confident professional people, who understand they need to take their communication skills to the next level to get their message heard with maximum impact. I help them find their authentic voice. Whether you need to build on your ability to address a conference, to have more confidence chairing meetings, to develop your pitches, or improve your media skills and strategy, I can help. I take a holistic approach to work on your breathing, posture, voice, pitch, pace and body language, as well as looking at any inner dialogue that’s interfering with your confidence and how to get clarity around your message and target audience. I can work with you one to one and/or work with your teams, mentoring them or running facilitated workshops or training sessions. Much of my work is based on mindfulness, the ability to be fully present, purposefully and non judgmentally in the moment. 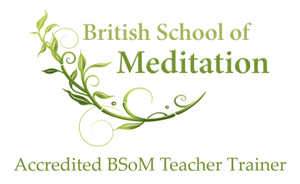 I’ve had my own meditation practice for many years and have also trained as a meditation teacher with The British School of Meditation, am on their Register of Accredited Meditation Teachers and follow their strict code of ethics and practice. I'm also a member of the Spring Board, a small collaborative group of coaches and trainers who work together to deliver what's best for our clients. If you've a need I can't meet, you'll get access to the rest of the team. I trained with the BBC on their highly respected and award winning Coach Foundation Course which is accredited by the ICF (International Coach Federation) and the EMCC (European Mentoring and Coaching Council). I also completed the Level III BBC Leadership Academy training in Creative Facilitation, accredited by ICSC (the International Centre for Studies in Creativity) Buffalo State of the State University of New York.